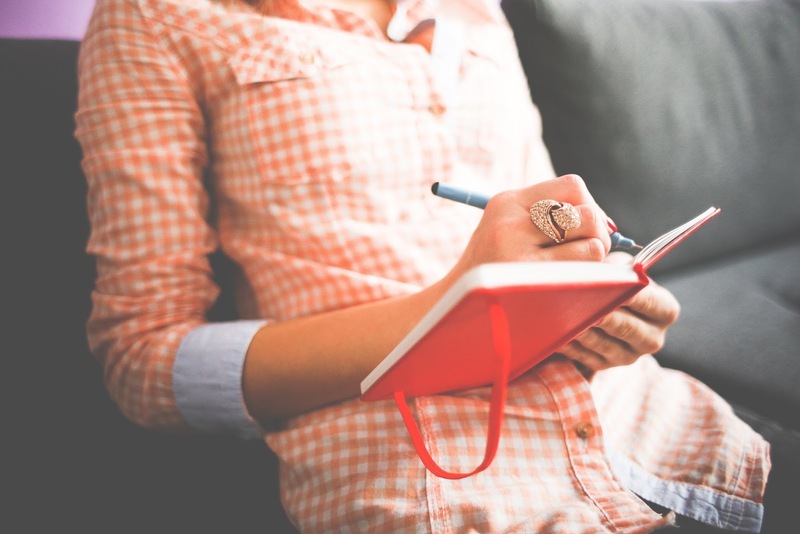 In an earlier blog post, I shared my want to learn more about my students through writing. I challenged myself to create more opportunities to allow my students to express themselves through writing. After talking to various teachers (of various subjects, I might add), I decided to start journaling with my students. I will be honest, a majority of my ideas for implementation were stole from US History teacher Saarah Mohammed. Starting in Quarter 4, a prompt was posted on Schoology each Friday for students to reflect and respond to. Students were given approximately 10 minutes to write, though when needed, students could take more time. I started with prompts that I was curious about "Without monetary constraints, where in the world would you travel to? Why do you want to travel there, and who would you take with you?" Then, by Saarah's recommendation, I started using next years' Common App writing prompts as inspiration. For example, I adapted "Discuss an accomplishment, event, or realization that sparked a period of personal growth and a new understanding of yourself or others." to "What is your proudest accomplishment?" I was amazed at how open my students were in sharing some personal stories and feelings, and I loved the students reactions when they saw that the day's agenda included a journal. I saw my students in a new light, as some who normally struggle in math were thriving in the world of writing, while others were more frustrated that they couldn't just get right to simplifying complex numbers. I learned so much. I learned about a student who have overcome depression and suicidal thoughts, another who want to study abroad because they have never left Des Plaines or Elk Grove Village, a student who can't wait the fall to be able to go to their farm and help out with the harvest, one who shared being asexual and wants to educate others, a student who is working hard on his Eagle Scout project, another who is struggling to care for her younger sister when the parents are rarely in the picture, and so many students excited about their school activities. I am eternally grateful for my students' willingness to share their stories with me, as I am forever changed by these relationships that I have built. Now that I have opened this can of worms, I can't close it. I know that I will start the year with my students journaling and continue the process throughout. Starting earlier and building this process, I hope to also incorporate some academic self-reflection questions, such as "What grade have you earned?" (stolen from Mark Heintz), "How can you use the feedback from _ assignment/assessment to improve your learning? ", or "Now that you have achieved your goal, what is your new goal?" My goal is to build more metacognition skills as well as break down the barrier that we can only learn math in a mathematics class. One of the things that surprised me the most was that the students who forgot their iPads and wrote their journals on paper tended to write more. However, I wasn't able to keep a conversation going, as I did with other students in the comments section on Schoology. I have debated the idea of each student having their own journal, though logistically this could be difficult, as I typically read these journals at home over the weekend. If anyone has any insight into trying some of these methods, I would greatly appreciate any imput! If you feel distracted in your professional life, you are not alone. 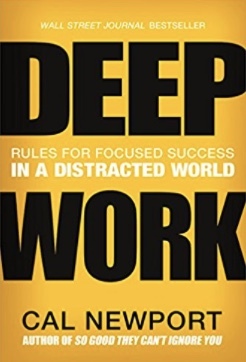 Deep Work by Cal Newport was the subject of a recent book study sponsored by our EG Collab Lab. When we approached teachers and introduced the topic–how to combat the rising sense of distraction in your professional life–we found plenty of people who wanted to talk. Using Zoom, we were able to join with staff across our building and from other schools for a discussion over several weeks. One point of lively discussion was whether we found ourselves “busy” or “productive,” and how email–certainly a necessity in our profession–can overtake more vital functions. All of us admitted we could probably spend an entire school day on email, yet none of us would feel a sense of satisfaction at the end. Our abundant new technology may offer opportunities for richer connections in some instances or perhaps push us toward shallow personal connections. Should we re-evaluate the quality of communication and ideas pouring through these new portals? Newport passionately argues that the most satisfying work is craft, a point when we use the full force of our intelligence, attention, focus, and creativity to solve problems. This is where we humans often find deep meaning. We cannot develop our craft without “deep work,” a term coined by Newport. Newport also challenges us as professionals with stark advice to become more productive. Newport argues that the will power to work deeply is not a momentary whim, but a routine investment in ourselves. Newport gives a plethora of examples of how to eliminate shallow work and re-focus our energy on deep work. His advice to embrace boredom rather than constantly filling an empty moment with a swipe of the phone resonated with all of us. He challenges the reader to re-evaluate the use of social media by examining the value of random connections versus the high value connections we have in our personal and professional lives. Our discussion ended with an important challenge – how can we teach and encourage deep work in our students? We certainly need to make changes in our own lives first. Newport’s argument has clear implications for our classrooms and students. Although he does not address the educational setting specifically, we certainly felt pulled to apply these ideas to our own students. “Deep work,” Newport concludes, “is a life well-lived.” We all agreed that we hungered for more of that in our lives. 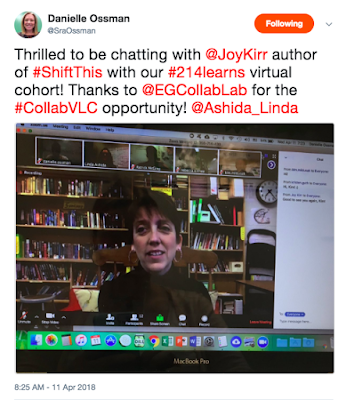 Many thanks to Kim Miklusak, Quinn Loch, Mark Heintz, and Linda Ashida in our Collab Lab for facilitating the Zoom technology and helping us make this happen. Shift This! D214 Connects and Learns with Author Joy Kirr! This year the Collab Lab enjoyed a new way to facilitate learning connections beyond our school walls using Zoom. Among other ways we used this technology to collaborate virtually with educators across the district and country, we also created a Virtual Learning Cohort to more intentionally foster our community of learning across schools. 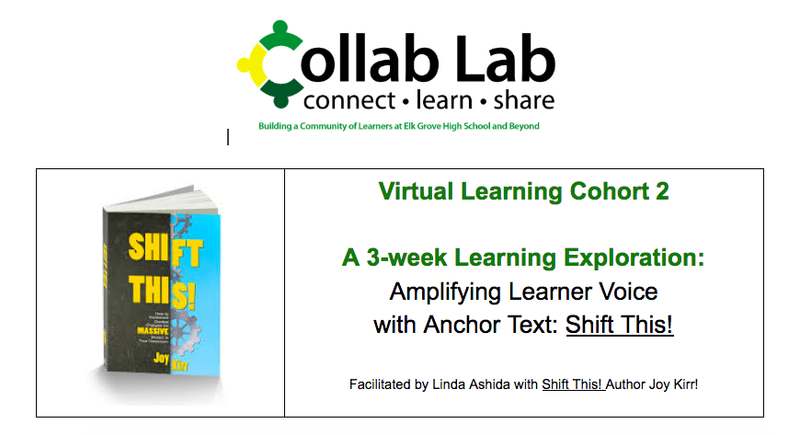 We were so inspired by our conversations in the first Virtual Learning Cohort, that we decided to connect again for a second 3-week session. 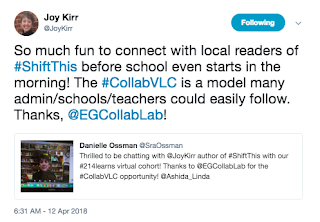 In the first cohort, we were fortunate enough to have one of our favorite Twitter PLN colleagues (and and "neighbor" in District 25) Joy Kirr, join us. Since in we were exploring ways to involve students more in their learning, it seemed only fitting to use Joy's recently published book, Shift This! 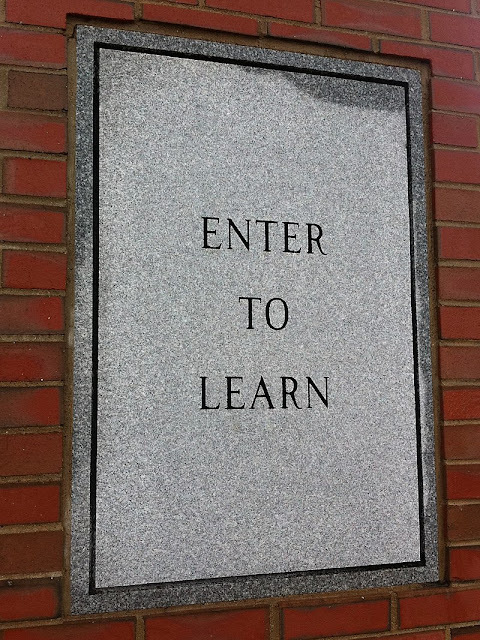 to guide the conversation for our second Virtual Learning Cohort. Joy graciously agreed to participate again and help lead the conversation. Each week Joy kicked off our conversations with insights from her book as well as her current practice. She was candid about what worked and what didn't; we were so inspired by the way that, at heart, she is a learner herself, always reflecting and shifting her practice to do what is best for kids. Her examples and relfections served as a great springboard for us to share ideas for shifts in our own practice. Across the two 3-week Virtual Learning Cohorts, The Collab Lab team connected with over 30 colleagues representing every District 214 school, neighboring school districts, and even with educators for other states! And students joined us too! Between our weekly meetings we stayed connected on Twitter and we also collaborated using Google Docs to curate and share even more ideas. 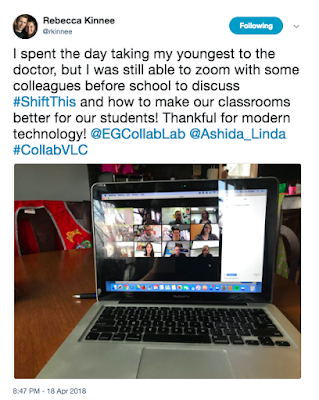 Using Zoom gave us a great new way to strengthen our professional learning connections across schools in our new Virtual Learning Cohorts; it was a new great way to connect, learn, and share! We're looking forward to keeping our conversations going on social media. And. . . YOU can join the conversation too! 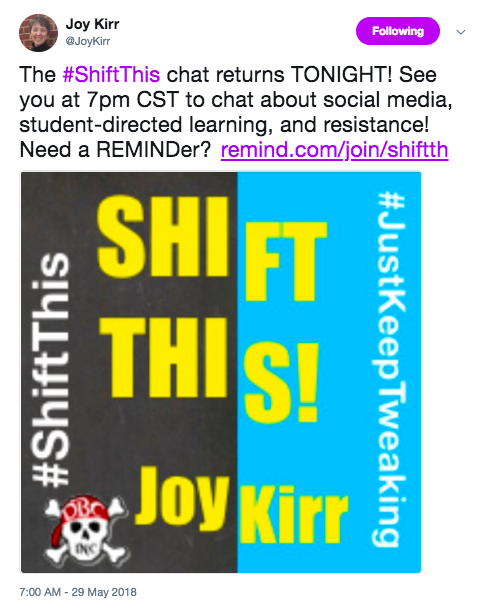 Just follow the the hashtag #ShiftThis on Twitter. You will no doubt be inspired and you can even jump in on some Twitter chats, like the one that will happen just tonight! And, to learn more about Joy's book, including information on how to get your own copy, check out this previous post: "Looking to Make Changes in Your Classes? Book Rec: Shift This!" A huge shout out to Joy for being so generous with her time to join us and inspire our learning, and to all of our colleagues and students who participated. We're looking forward to continuing similar collaborative learning experiences across schools in the year to come! Labels: #CollabVLC, collaboration, Shift This! AP is hard. There is no way around it. Furthering the problem is assigning a grade to a student. The AP examination stratifies students and ranks them. Because of that reality, how does a teacher assign a fair grade? Do I equate grades with predicted AP scores? Should I change grades based on AP scores? How do I curve four parts of a test? Do I value work ethic? How do you factor in a weighted grade? To help me understand what they thought about all of this, I asked them a few weeks ago what they thought they should have earned. Before I handed back their last major assessment, I asked them again what grade they thought they earned. To gather data, I posted a Google form that asked the students to state what their current grade is, what grade they felt they have earned, and explain why they earned the grade they selected. I was amazed at the honesty in their responses. There were quite a few students who gave themselves a lower score and some of their responses really made me think about the year. Here is what some of the students had to say. I would choose to give myself a low A. I know that I’m giving my best on every test that we take in class, but I just don’t feel that my work is that exceptional. My reasoning is not as reflective as I would like it to be, and I’m always rushed on time. However, I’ve been spending a considerable amount of time at home lately going over prompts we’ve done in class and writing practice DBQs and short answers, which I send to Mr. Heintz for feedback. Just this morning, I woke up early to take a practice stimulus test to challenge my mind and see how I would do that early in the morning. Finally, I am one of the most focused people in the class, and I have finished all my checklists on time throughout the whole year. I think that the grade I deserve would have to be a C because I have tried in this class but at the same time have lacked on the part of doing my work on time. As well in asking for help when it was needed and asking questions. Also with waiting to last min. To do things that needed to be done a long time ago. Although I would like an A, I believe that I deserve a B since I don’t really study, practice essays/DBQs/short answer, or do all of the checklists on time. My actions are also the reason why I’m getting worse at everything in AP World History so I will try to study and practice for the AP exam and study and practice more next year. I know I have earned a B because I work really hard in this class and at certain times it can be one of my best grades. The hard work that I accomplish for this class pays off in our tests and writings that we do. I prioritize this class over all my other classes because I enjoy the workload and learning about history even though it can be infuriating and frustrating at times. This class always manages to get the best of me but I also get the best from itself by learning things that might potentially stick with me forever. Because even though I don't keep up on checklists I make up for them. I still do the checklists, but then my grade doesn't increase. Some DBQ's we write and then grade with peers I do well on but scores don't go into the grade book sometimes. I do participate in class, I pay attention, and I think that should earn points itself. Also, I do know the material and what we're talking or writing about even if I'm not the best at expressing it. My students are very hard on themselves. Between balancing coursework, getting up early, prioritizing other work, and being attentive in class, their reflection reveals the struggle with the course and their lives. It is a stressful time for them. Their posts challenge me because of their self-deprivation. School should be a place that lifts people up and gives confidence since they are gaining new skills and knowledge. Instead, they are looking at what they haven't gained instead of what they have. Furthermore, it is interesting to note the emphasis the students place on time in the classroom and paying attention. The way our school system is set up, time is highly valued. In our current system, many view time spent in the seat equates to learning. However, I thought I moved past that with my students. Time in the seat help learning occur. But that is not the case. As a teacher, I constantly converse with students, read their work, and probe with questions that help push their thinking. In my class, it is not just the time in the seat or filling in of worksheets. It is what they can do or apply. In reading their reflection, I need to keep working on it. Overall, I am not sure the place grades have in the classroom. They often get in the way of creativity or students taking risks because it is easier to take the linear path to "earn" the A. They change the narrative of learning. I have to issue grades and I have really enjoyed reading the students insight. As I stated before, I need to include them in the process more frequently next year. 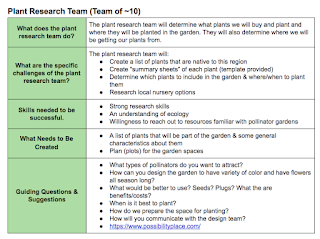 This is part one of a two-part blog post documenting my experience with planning a large student-led project in my freshman biology classes. In this post I will share the background of the project from the teacher perspective, while the second part will focus on the thoughts and experiences from the student perspective. 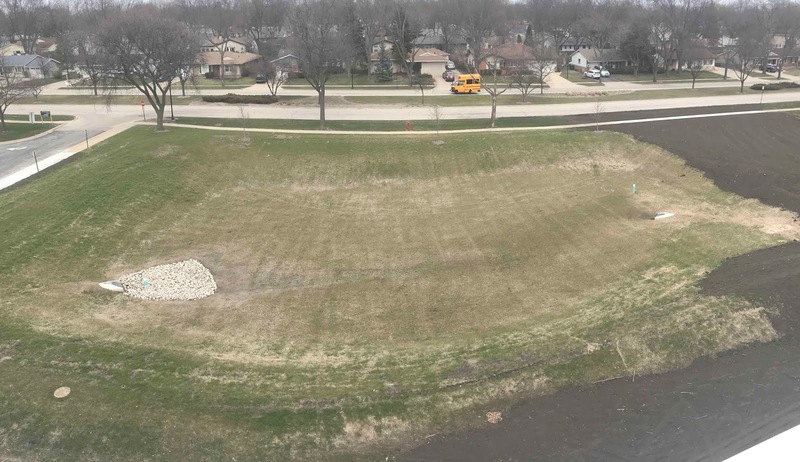 Our school recently built a detention basin to accommodate rainfall due to a newly constructed gym. The space offered a blank slate and it was decided that this space would be great for a native pollinator garden - a garden full of native plants that will both attract native pollinators (bees, butterflies, hummingbirds) and soak up water during heavy rains. I acquired some grant money from the Illinois Clean Energy Community Foundation and began to brainstorm how I could incorporate this project into my biology classes. The future garden space from the roof of the school. I saw this as a great opportunity to have my freshman students plan the space. 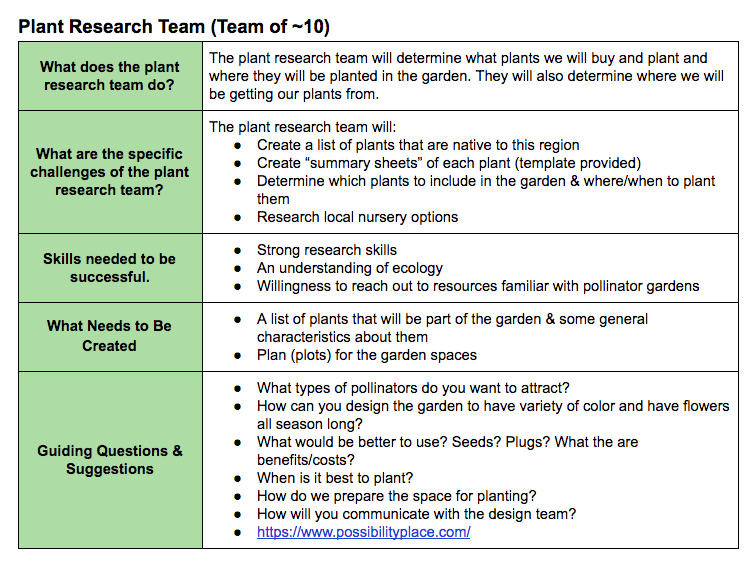 Over the course of three weeks, each of my four classes developed a proposal that included the major components such as design, plant choice, budget. At the conclusion of the planning process, students presented their proposals to a panel of staff members. The class with the best overall proposal would have their plan carried out. Before starting the planning process, students learned some basics about plants and pollination through activities and readings. 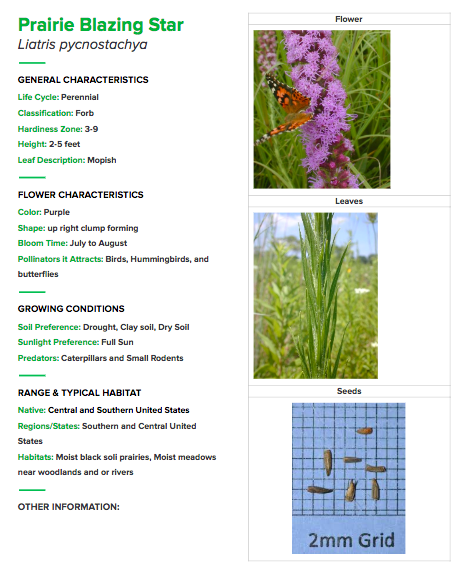 Each student also researched a native plant of their choice in preparation of the plant selection process. 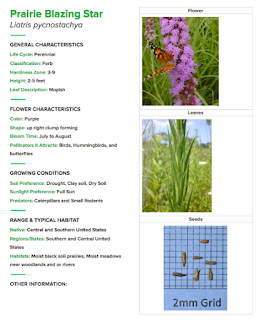 A student sample of a plant ID used during the planning process. I shared some guiding questions and some expected outcomes from each group, but the groups had significant amounts of freedom during the planning stages. Each day, one student from each group completed a daily reflection form (google form) that included the progress they made for the day, their goal for the next day, and things (supplies, advice, etc.) that they needed from me. Each day, I shared these responses with the project managers so that they could help groups set goals and make progress. I spent most days during the planning process just monitoring the class, making observations, and saying very little as I wanted this project to be as student-led as possible. When finished, the garden will serve several purposes - a functional habitat for important native pollinators, a location for future learning experiences in life science classes, a place for students to earn service hours through maintenance, and an aesthetically pleasing feature in the front of our school. During the several days in which students were planning, I often said nothing to students other than say that they had the class period to work. 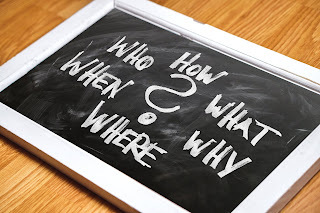 Most days I walked around and took notes on how they were doing and when students asked me questions, I either shrugged or responded with questions only. While somewhat amusing for me, it forced my students to problem solve either on their own or in groups. Too often I feel as though I am enabling students when I just "give them answers." Making experiences students-driven allowed for the problems that they needed to solve their own problems and not problems that I was dictating for them. 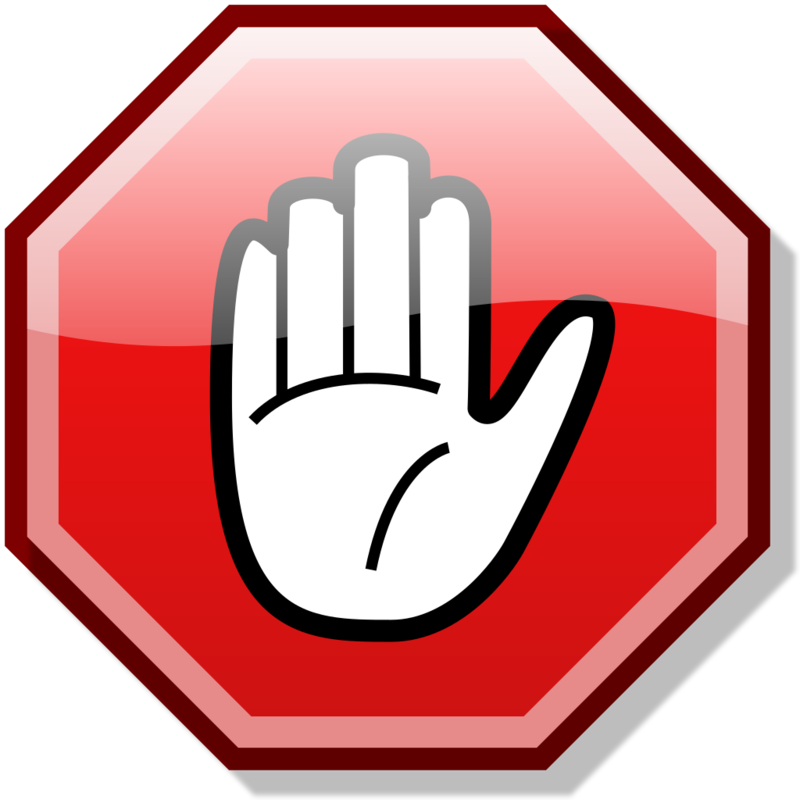 I've learned that giving up control, something that can seem counter-intuitive to classroom teachers, can actually increase engagement and learning. Next week, I will share feedback that students provided at the end of the planning stages through a survey and class discussion. We Are EG Podcast: S1E17 "She Was Such A Fighter!" 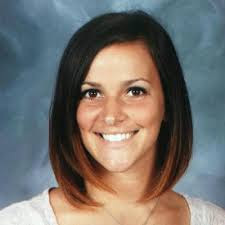 Alexa Rodheim Cutler touched the lives of students and staff as an English teacher at Elk Grove HS. She sadly passed away from breast cancer at the age of 29, yet her legacy lives on. Here, her last full class of students, now seniors ready to graduate, share their stories. While there are many students who were touched by Alexa's life, we want to thank the following students for sharing their stories: April, Billy, Estefania, Katie, Jazmin, Jesus, Nella, and Shirley. This week's post is by Kunal Patel and John Kaczowka. Here is their reflection. As May 17th—the day many sophomores take the AP World History exam—comes nearer, students begin to “study.” But what is “studying” exactly? How can one effectively prepare for the exam? What have we done in class to help us prepare? Review Period Checklists: These short Schoology quizzes are designed to test our content knowledge on each time period we have covered this year. The questions are taken from previous checklists from past units. They are usually due each Thursday. John: Instead of spending hours reading long texts and taking notes, Mr. Heintz created videos that were accompanied by quizzes to check our understanding of the material. I thought that these quizzes really helped me learn the material quickly without any difficulty. The end of each checklist consisted of a review for the week, usually made up of 20 to even 80 questions. The review period homework was a set of quizzes from the entire year divided into smaller parts to review important aspects of each time period. These quizzes saved me a lot of time during the week, and as a result, we didn’t have to learn the AP material during class but instead focus on writing, which will really help me on the AP exam. Kunal: These weekly review checklists have provided me with a nice way to check if I have the content down. Although it can get repetitive, I believe that this repetition is necessary so that we can commit pertinent information into our memory. I tend to do each checklist twice (within a week or two) and always shoot for a perfect score. When I do get a question wrong, I read the question again, read all of the answer choices, look at the explanation for why my answer choice was incorrect, and come up with a new answer after doing all of the above. For me, I prefer the checklist system over doing a worksheet because I get instant feedback on my answers and an explanation for why an incorrect answer is incorrect as well. 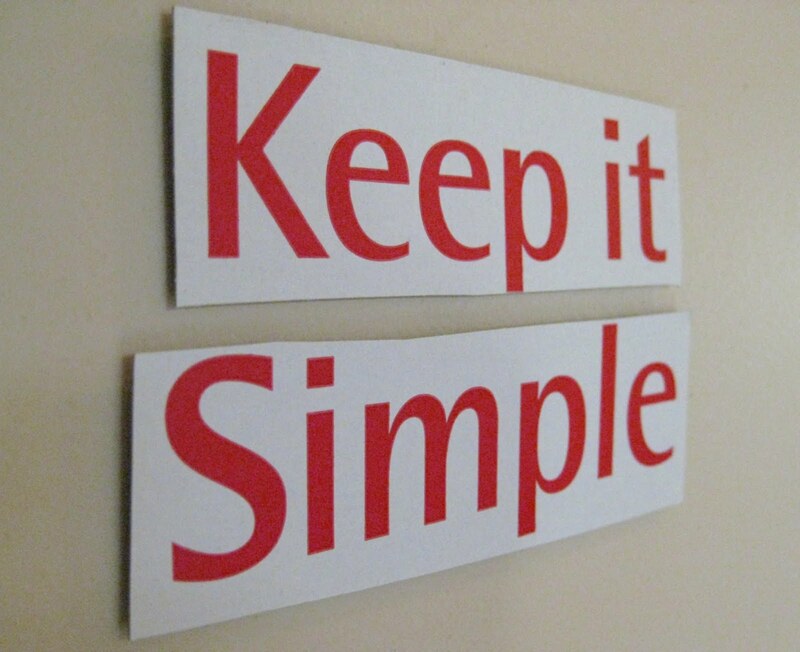 It also saves time in class because students will know the content prior to coming to class. Short Stimulus Checks: These mini-stimulus quizzes are about 7 to 9 questions each. We have done three of these so far, two in the Foundations time period (8000 BCE to 600 BCE) and one in the Post-Classical time period (600 to 1450 CE). We went over the answers to each of these in class. Either Mr. Heintz gave us the answers or we worked together in small groups. John: The stimulus-based multiple choice is one of the sections on the AP World History exam. This part is worth the most on this test (40%). Starting class off with a couple of stimulus-based questions is a great way to practice this skill. I really thought that these small practices helped me time-wise since this part is only 55 minutes. Timing was a big issue for me. Making these little practices timed really improved my timing. Afterward, we would go over the answers as a group, discussing which answer is correct and why the other answer choices are wrong. Sometimes we choose the correct answer, but we don’t quite know why the answers are wrong or what they are talking about. Kunal: I feel that this is one of the BEST ways to prepare for the stimulus exam, other than taking a full practice one! It’s a great way to start the class and doesn’t even take up that much time. By seeing more and more stimulus questions, students will get comfortable with the format and become better test takers by exam day. To work on our pacing, Mr. Heintz can have the timer set to a certain number of minutes that would equal the number of questions present. (For example, if there were 9 questions, students should only be allowed 9 minutes to answer them.) Going over the answers afterward is very effective since we can talk through each question and its corresponding answer choices. I feel the class is definitely more engaged when the class is under a time limit. What I would like to see in the near future are short, timed stimulus checks on Schoology that students can complete for practice. Long Essay Practice: This is similar to the DBQ except the long essay does not include documents that need to support the claim nor do they need to corroborate each other. We did two practice long essays in class before we took one for our final. John: We, as a class, really didn’t focus on Long Essays since they’re similar to the DBQs. This past week, Mr. Heintz gave us two prompts from actual AP exams to look at during class. We discussed what we can write on this particular prompt. He gave us a couple of minutes to write down whatever we thought would be useful to know about the period 600-1450 CE. Every aspect is similar to the DBQ in terms of the thesis, contextualization, and corroborating except that there aren’t any documents that we can use. Using what we know is the entire aspect of this part. I decided to write on the 600-1450 prompt as practice for a test we had the following day. This was great practice because I sent it to Mr. Heintz and received feedback on the parts that could have been added to my essay. Writing using past AP prompts really helped me advance my writing abilities. Kunal: Mr. Heintz didn’t give us any official practice to prepare for the long essay until the month of April. This worked out well because AP changed something about the requirements/format that would have made our preparations not as useful. At first, when we worked on one in class on the whiteboard tables, I wasn’t sure if I was using the right evidence or whether my reasoning was strong; I had very little confidence in myself. On the second long essay we did, I was only able to write the thesis in class. However, we had the long essay final the following day, so I vowed to finish the practice one and receive feedback from my teacher. After writing each paragraph, I sent them to Mr. Heintz via Remind. (You can find my long essay below.) I got GREAT feedback that improved my writing and boosted up my confidence level!! On the day of the final, however, I didn’t feel that great about what I had written. I was only able to write one body paragraph when I had planned to write two, and my reasoning was a bit repetitive. To my surprise, I got 6 points because I wrote my one body paragraph really well and my reasoning wasn’t as repetitive as I thought it was. (What is required of us in class is actually more than what’s required in the actual exam.) At this point in time, I do feel much more confident about writing long essays. The only question I have is whether I’m writing too much in terms of the evidence. Memory Recall: Every day, Mr. Heintz tests our content knowledge. On some days, we organize historical events by time period and on others, we brainstorm all we know about a topic. Memorizing the content isn’t enough; we have to be able to access the knowledge during the AP exam under time pressure. John: A big part of learning history is to actually remember the things we learn. The Schoology quizzes are repetitive for a reason. Mr. Heintz asked us to write any facts and important events for certain time periods for the past two weeks. This was a great way to see which time periods we are struggling with and which ones are mastered. Sometimes, we worked alone to see what we know and other times with our table partner. Together, we could see what facts we could recall. This is a perfect warm up to start class. Kunal: These “memory recall” times of the period are my favorite! I enjoy being tested on what I know and don’t know and the challenge it provides. These activities are very engaging and stimulate group conversations as ideas bounce around. Sometimes, Mr. Heintz requests us to work individually (which works for me), but after the independent work time, I think that group collaboration should occur as often as possible. One day, Grace (my table buddy) and I created a list of all the Chinese dynasties, the major empires/republics in Europe, and the empires who had power in India. We also created a pyramid and labeled the Caste System. It was fun, engaging, and useful at the same time! Individual Memory Recall: Mr. Heintz started the class off with individual self-checks to practice recalling information. Trade Routes Map Activity: We were given a map and a certain time period beginning from 600 C.E. to the present. The goal was to mark any major trade routes used, the empires who legitimized their rule during the time period, and the items traded without using the Internet or any outside sources except for classmates. John: Drawing and labeling trade routes for a certain time period on a world map was a different approach to what we usually do. I feel that the activity could have been changed since there was some confusion as to how to approach the activity. The idea was there since it made us recall which empire dominated and which trade routes were used. Working in our table groups on a certain time period would have made the activity more interactive. I myself didn’t add all the things I would have liked on my map, and to me, it didn’t really look too appealing. As groups, we may have been able to throw more ideas out and we could have decided what was important and what wasn’t as much. Perhaps adding everything on one map may have improved the activity. Kunal: Drawing trade routes and labeling empires on a map was fun, but I’m not sure whether that was the best activity for that Friday. On that day, Mr. Heintz was out for a meeting, so a handful of students were not doing the task and instead we're talking about other things or on their iPADs. This is usually the case when a sub is present. I was on task during that class period and I even encouraged Max for us to work together because we had the same time period, 1450 to 1750 C.E. We both got our maps done by the end of the time period, though I just realized that I forgot to include the goods that were traded/transported between Europe, Africa, and the Americas in the Triangular Trade System. However, I personally thought that this activity should have been done earlier in the year. Doing it when the sub was present didn’t turn out well, and if Mr. Heintz were here, we should’ve been working on our writing instead. I think a better idea would have been to take a practice stimulus test or short answers that would be “graded” to force everyone to take it seriously and stay focused. DBQ Practice: Last Thursday, we got a DBQ prompt. Mr. Heintz timed us for 15 minutes, during which we had to plan out how we would go about answering the question and organizing the documents into two or more groups. John: Writing during class is one of the best things we do. I’ve always enjoyed writing and learning how to express my thoughts in different ways. The AP exam almost consists entirely of writing. Knowing how to write an essay well will really help me now not only on the AP World History exam but also in the long run. Mr. Heintz gave us a prompt from a retired test, and on Thursday, we were given 15 minutes to analyze the documents to highlight important aspects and connect the documents so we can support our claims. The DBQ is worth the most out of the writing portion of the exam so it’s important we do well on it. What we’ve been doing in class was a great way prepare ourselves for the DBQ. 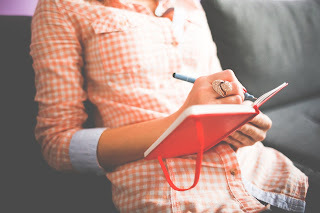 At the beginning of the year, I was struggling to write a good thesis, now after writing countless essays throughout the year in class and on tests, I have really started to write quality essay thanks to these practices. Kunal: When it comes to AP tests, standardized tests (PSAT, SAT, etc. ), and even tests/quizzes in class, my greatest concern is time. When I do my homework, I take my time, read everything carefully and make sure I understand what I’m reading before moving on, and I proofread my work. However, this has been my biggest weakness. If there’s anything I’m worried the most about for this upcoming AP exam, it’s whether I’ll have enough time to answer every single question for the multiple choice and whether my writing is accurate and on topic but also detailed. Due to this, I usually briefly brainstorm and move on to my writing as quickly as I can so I can write all I want to write. This has not been the best idea because it’s led to many jumbled thoughts and not a clear plan. Being timed for 15 minutes allowed me to see what I could get done in that amount of time. I was able to read through each document and list the main points. Additionally, I began grouping the documents and was getting ready to write my thesis. Taking 10 to 15 minutes to brainstorm will allow me to write a DBQ that has effective evidence, strong reasoning, and correct corroboration/qualification between documents. Practice Test (Final Exam Part 1): For the last two weeks, we took our first final, consisting of a full 55-question stimulus test, three short answers, and one long essay. John: Taking actual AP exams is a great way to test our knowledge and skills. Mr. Heintz divided the test into a couple sections since there aren’t enough minutes in a class period to an entire AP exam. We took a 55-minute stimulus test and short answer for two days. A week later we took the long essay and this week we’re supposed to write a DBQ, a short answer, and another stimulus to see if we’ve improved or where we could still use some work. Afterward, we analyzed each part individually and as a class to see where we went wrong and where our focus should be. Mr. Heintz had us grade other students work to see what we would give the person and why. He would check the grade himself to see if we were on the same page. I enjoy taking these tests because they show the things I have learned and mastered. Having the will to take these test will only benefit me since this is an excruciating test, and the only way to do well and get through it is to actually want to take the test. Kunal: Taking a practice exam was very beneficial. It creates an environment similar to the AP exam and allows students to see what they have mastered and what they need to work on. After we took a certain part of the exam, we spent about a day or two going over the answers and understanding what we have done wrong. For example, a couple of days after the stimulus exam, Mr. Heintz handed out our packets and provided us with our results. Additionally, he posted the correct answers to Schoology and explanations for each answer choice for each question. I was able to go over every question I got wrong and decide whether I had made a silly mistake or if the question really was tough. This was very helpful! I realized that many of the questions I missed were silly mistakes that I rushed on due to time. For both the short answers and the long essay, Mr. Heintz requested that we grade our own before he handed out what he graded us. This allowed for a ton of reflection and stimulated group conversations. How will we both study, and continue to study, for the exam? John: The AP Exam is right around the corner. 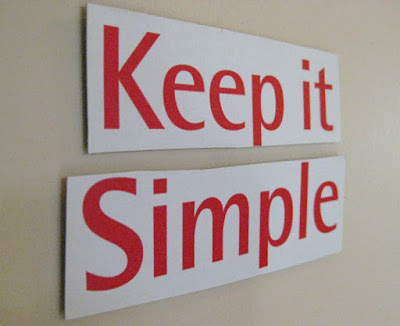 Here are some of the things I intend on doing in order to be successful. Take three full practice exams. I found one complete exam on the College Board website and the Princeton Review has a handful of tests as well. Watch videos from GetAFive.com on the time periods which I could use some reviewing. There’s around 13 hours worth of content to watch. This would be a great resource to use. Kunal: At this point in time, here is what I’m planning to do outside of class to prepare. You can read week thirty-six here.